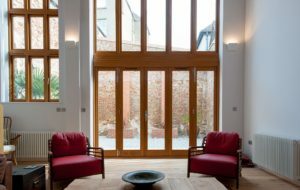 Home Blog Why are timber windows so much better for the environment? Why are timber windows so much better for the environment? There is a lot of debate about what is the best window and door product for the environment and hopefully this blog will help encourage you to make an eco friendly choice when it comes to selecting your next supplier of frames. As a timber window and door specialist, we are always going to try and persuade the public that wood is the best choice, and the most eco friendly, so instead we are going to leave it to the leading wildlife and environmental authority to state our case for us. Formerly known as the World Wildlife Fund, the WWF (World Wide Fund for Nature) was founded in 1961, and works primarily on the reduction of human impact on the environment. They are the world’s leading independent conservation organisation, and their mission is to create a world where people and wildlife can thrive side by side. In 2005 they developed a report on the comparison of window materials, and declared that PVC were found to be less sustainable, and more hazardous than wood. The Window for Opportunity Report went on to encourage specifiers and buyers of windows to choose Forest Stewardship Council (FSC) certified wood. Their stance has remained the same from this point, and over a decade on from the original report, the Wood Window Alliance (WWA) produced a follow up report outlining the benefits of wood against plastic, that was backed by the WWF. In their, ‘A Clear Choice‘ report, the WWA concluded that engineered wood products use the wood very efficiently, and can be manufactured from fast-growing, underused and less expensive trees species. According to the UK Forestry Commission, a softwood tree’s CO² uptake slows, and the trees become less efficient in carbon uptake after they reach maturity. Therefore, in a managed forest, mature trees are harvested to make way for vigorous new trees. When trees are harvested, most of the stored carbon is transferred to wood products such as windows and doors. Planting new trees absorbs more CO² due to the more vigorous growth of the new tree. 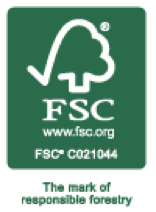 At George Barnsdale, all of our timber is sourced through the FSC timber certification scheme. The scheme ensures that the sources of the timber are well managed, legal and sustainable. We are also trying to go a few steps further to help save the environment, as we understand that everything we do has an impact on it. Our commitment to the environment is guided by the processes that we employe to ensure a sustainable approach to our manufacturing. 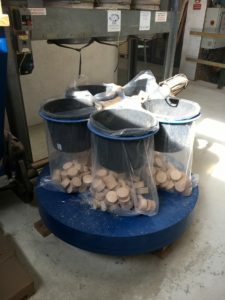 From minimising waste we send to landfill, to converting remaining timber to briquettes for use in wood burners, we are constantly looking for ways to limit our waste. We have installed solar panels on our sunny Lincolnshire site that help generate an average of 80 megawatts of energy per hour, and all our systems are controlled to reduce energy consumption wherever possible. Not only do we act responsibly in our processing techniques, we also manufacture products that we are confident will provide premium performance to help you do your bit for the environment; even once our products have left the factory. Timber by nature is a natural insulator and because of its carbon storage capacity it is the best base material on the market for helping your windows and doors minimise the environmental effect of your property. When coupled with high performance glass, it offers excellent insulation against heat loss, ensuring you will be able to reduce energy consumption, and bills along the way. Therefore, we are confident that not only are you helping save the environment by choosing timber, but by choosing George Barnsdale you are making an additional commitment to the planet, and the most eco friendly decision.